“I cannot stand what’s happened in this town,” my mother said as my parents and I strolled to The Avenue Theater in Denver to see the quirky one-man show “ODDVILLE.” She sighed and rolled her eyes in the direction of a nearby crane and the structure of a partially completed commercial construction project. The building is far from finished but done enough to loom disruptively over Uptown’s swiftly fading vibe. When built, this slap-job eyesore is sure to cast its modern shadow over the historical, relaxed and quaintly sophisticated neighborhood nearby. Cranes clutter the skyline in Denver and in every direction for miles and miles. Builders are heaving hideous and atrocious developments on every available inch of land, even when it is clear that they do not belong, even when it means the displacement of someone or of something with cultural or historical significance. These architectural blemishes look to have been built by Dr. Frank N. Furter himself. I cannot imagine the appeal of living in one of these mass-produced monstrosities; the units have as much charm as a prison cell. And yet the building continues. These days Denver feels a bit like a war zone. The combat is hushed but deadly. The enemy has alienated, destroyed and transformed Denver’s long established residents and communities with its gentrifying weaponry. Denver’s legacy has already lost the battle and will inevitably lose the war. Gone is the Denver that author Barbara Kingsolver once described, the Denver with “endless neighbourhoods of sweet old brick houses with peaked roofs and wide lawns shaded by huge maples.” Here instead is the Denver where seekers of these sweet old brick houses buy them for more money than the city’s working class residents earn in a lifetime. Gone is the Denver of my earliest memory, the Denver that felt like a convergence of kindred spirits and a community with the culture of creation, optimism, curiosity and exploration. Here instead is the Denver where city government sees opportunities and dollar signs rather than communities and individuals. As a result of targeted economic transformation, Denver itself has become a little self-important. The Denver of today is not known for its robust and resilient local ethos as the Denver of yesterday was indeed. The Denver of today instead insists that it is neat, that is it hip, that it is the place to be simply because it is Denver. 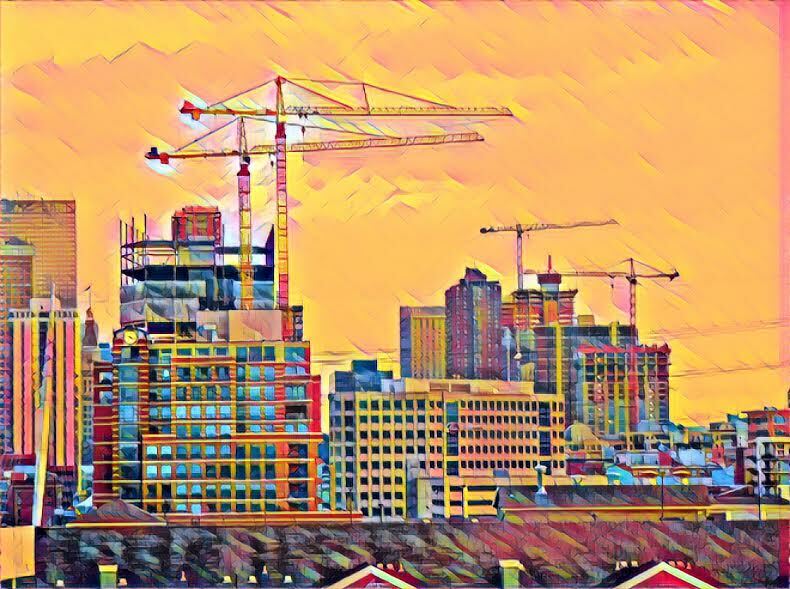 Denver today survives on the wistful essence of what once made Denver great but now is no more than a worn reminiscence that crumbles a little more each day. The Denver of my childhood has been demolished, my memories of it lost in the rubble. As gentrification emerges as Denver’s shameful legacy, I cannot help but feel nostalgic for a Denver that only exists in the past. The Illuminati taking residence under the airport surely hasn’t helped, either. When I first moved to Denver I hated it. When I moved to Denver for law school, in 2002, I fell in love- here was the Western city of my dreams! Mountains! Decent pho! Amazing LGBTQ+ friendly music scene! Great bars! Dance nights to die for! Thrift stores that blew my mind! My then boyfriend and I would say THIS IS THE NEXT SEATTLE and feel so lucky that we were here and other people hadn’t figured out how amazing it was, so we could afford it. Then I left, back to Tucson to work in child welfare law, and every time I got bummed out about the heat and would drive north to see my parents, I’d think about moving back to Denver and maybe buying a house in Baker like my friends had, and then one day I realized Denver had indeed become the next Seattle and I could never return because people who represent kids can’t afford to buy houses in this Denver. I’ll probably never go back to Denver, but the Denver I remember is the gritty, cheap Denver of an ungentrified Santa Fe, where crusty anarchists lived cheaply in what would later be Highlands, and where amazing cooperative venues for music thrived, rather than being turned into hipster food halls. Thanks for reminding me of the place I loved so much.